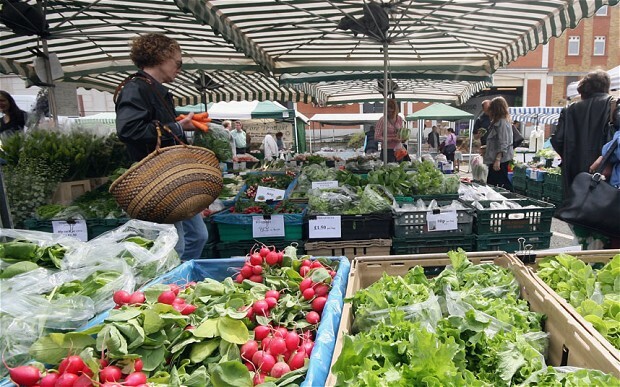 Farmers markets provide a great opportunity for both farmers and consumers to interact and support the local economy. They provide the opportunity for visitors to talk to farmers and try new foods while investing money back into the Greensboro/High Point food system. Farmers market vendors sell a variety of crafts, artisan foods, plants and other items. Each market is unique, check their calendars for special events, live music and activities for the whole family. Tuesdays 7:30 a.m.—12:30 p.m. Thursdays 3:00 p.m.—7:00 p.m.
Mondays 4 p.m. – 6 p.m.
Greensboro Curb Market is open on Saturdays 7 a.m.-12 p.m. (year round) and on Wednesday 8 a.m.- 1:00 p.m. (April 22 through December). They sell locally grown fruits and vegetables as well as organic items. It provides greater Greensboro with opportunities to purchase and learn about local foods in a friendly and diverse social setting. Each week, the High Point Farmers Market will feature a variety of local fresh produce, seasonal plants and herbs, handmade crafts, healthy cooking demonstrations, health screenings and fun and interactive kids’ corner. Also each week a local community partner will be highlighted.. Operates every Saturday from 8:30 a.m.-1:00 p.m., April – October. Hillsdale Farmer’s Market is open on Saturday 8 a.m.-noon; May through late October.They provide locally grown fresh fruits & produce in-season. Honey, organic bread & eggs, baked goods & fresh cut flowers available. The Piedmont Triad Farmers Market encourages and supports the growth of local foods and artisan goods businesses to improve economy, support better health through healthy eating and build social and community connections. The farmers areas are open 7 a.m. to 6 p.m. 7 days a week.The office is open 7:30 a.m. to 4:30 p.m. Monday-Friday. The Corner Farmer’s Market adds to Greensboro’s alternatives and provides a great place to meet neighbors, and shop for regional and local food and products. They offer an assortment of Certified organic vegetables, meats, plants, bakers, and crafts. The normal hours are Saturdays 8 a.m. to 12noon, typically year-round. The Town of Gibsonville’s Farmers Market provides local produce and custom made crafts and organize the Depot Stage Entertainments giving opportunity to a variety of local talent. Working hours: Saturdays 8 a.m.-12 p.m. (June to September) for outdoor market & 6-8 p.m. for Depot Stage entertainment. You can buy fresh produce, baked goods, canned goods, wooden crafts, homemade jewelry, homemade soaps and lotions, holiday decorations, hand-painted goods, gift baskets, home-sewn sheets, etc at the Town of Pleasant Garden’s Farmers Market. Working hours: Saturday 7 a.m. – 12 p.m. & Wednesdays – 4 p.m. – 6 p.m. during specific months. (usually June to September).